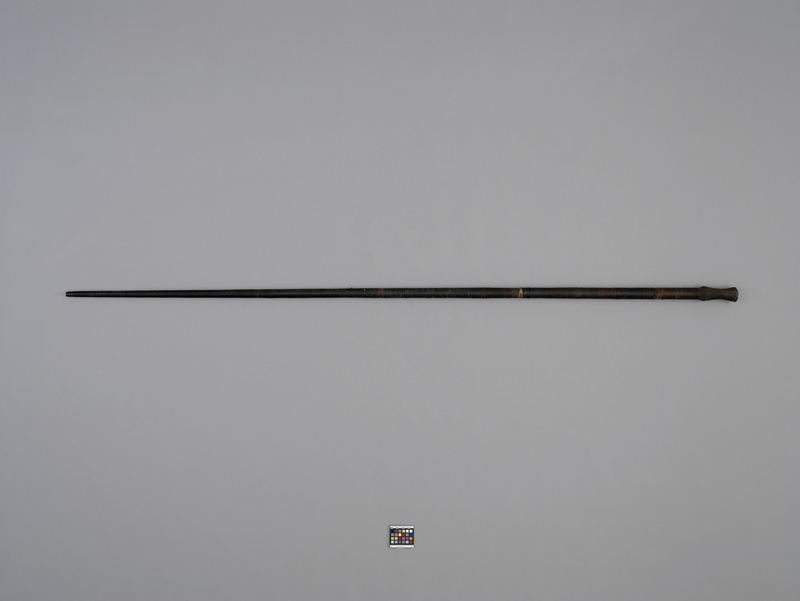 Item number 2814/53 from the MOA: University of British Columbia. 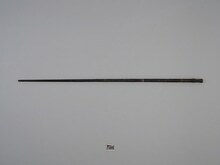 Blowgun with long cylindrical wooden shaft. Shaft tapers slightly towards the base and is completely wrapped in thin strips of palm bark. A thick circle of plant fibre is wrapped around the shaft nearer the top. A hollow mouth piece, flared at both ends, is attached to the top of the shaft with resin.